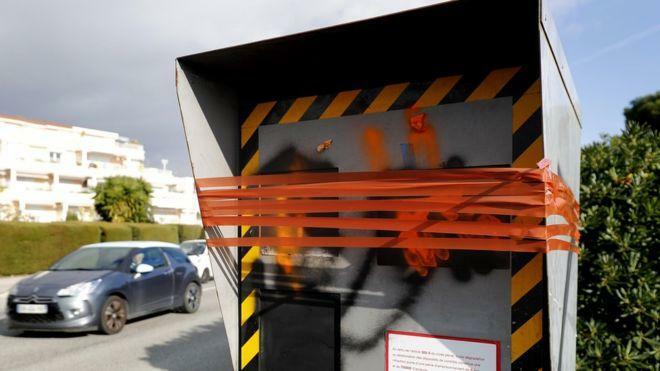 Activists from the Gilets Jaunes (Yellow Vest) movement have vandalized nearly 60% of France's country-wide speed camera network, according to Interior Minister Christophe Castaner, who said that the wilful damage was a threat to road safety and endangered lives, according to the BBC. 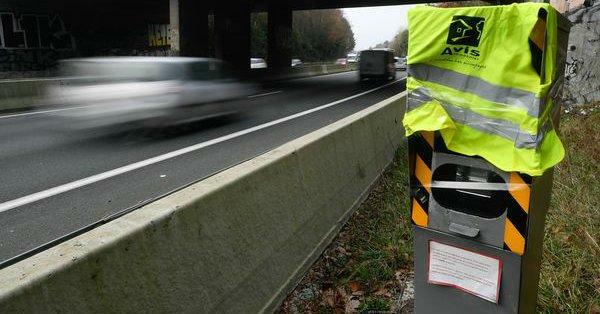 Yellow Vest protesters upset over an increase in fuel taxes have also complained about the rising costs of commuting for those who can't afford to live near urban centers where they work - citing speed cameras and toll roads in their complaints. While the Yellow Vest movement has been taking to the streets for violent clashes with French police, activists from the movement are now recommending that French protesters empty their bank accounts to spark a bank run - in a move which one protester, Maxime Nicolle, called a "tax collector's referendum." "We are going to get our bread back ... You’re making money with our dough, and we’re fed up," said Nicolle in a video message, as reported by the Associated Press. And while outraged Yellow Vests continue their protests, the Macron government is scrambling to calm down the anti-government movement with a series of economic measures which have thus far proven ineffective. Prime Minister Edouard Philippe gave details Wednesday of a “big debate” the government plans to start next week in all the regions of France. “We want it to be rich, impartial and fruitful,” Philippe said. The debates will focus on four main topics: climate change, democratic issues, taxes and public services, the prime minister said. Anyone can propose a local event and an internet platform will provide another venue for discussion, he said. President Emmanuel Macron proposed the debate as a way for the government to hear and to respond to the movement’s central complaints. Around 200 Yellow Vest protesters - which included trade union members, gathered in the Paris suburb of Creteil, as Macron visited a handball facility turned into a handball gymnasium (what?). Police used tear gas to keep angry protesters away from the French leader.